Fifty of the world’s most exceptional student entrepreneurs will be converging upon Bangkok from fifty different countries. 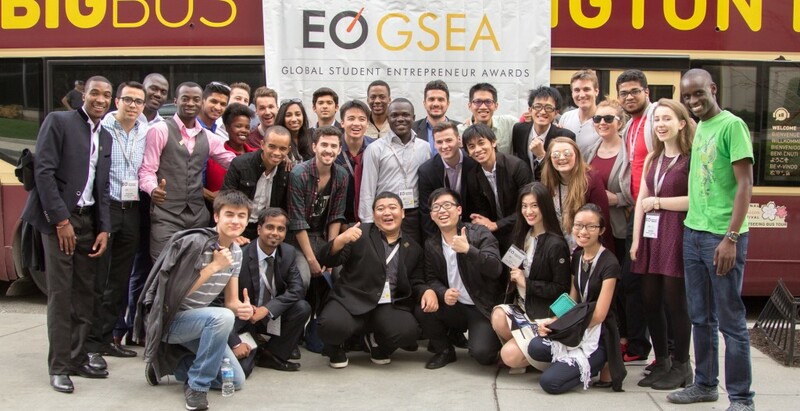 EO will host two and a half days of learning, mentorship and competition, with innovative new businesses from the world’s next generation of entrepreneurs. Don’t miss this unique and inspirational event, taking place just before GLC Bangkok! To register as a judge, contact Derrick Jackson, GSEA Program Manager for more information. GSEA judges will have registration fees waived. Could your business contribute something to the prize package or event? These students are hungry for business services and mentorship. Please note that all judges may attend the entire Global Finals event free of charge, but are responsible for paying their own travel and hotel costs. Most GSEA activities will be based at the Intercontinental Hotel, a short walk from the GLC event hotel. To indicate your interest and receive further updates, please complete this short interest form and hold the dates! once-in-a-lifetime experiences, and connections to experts.